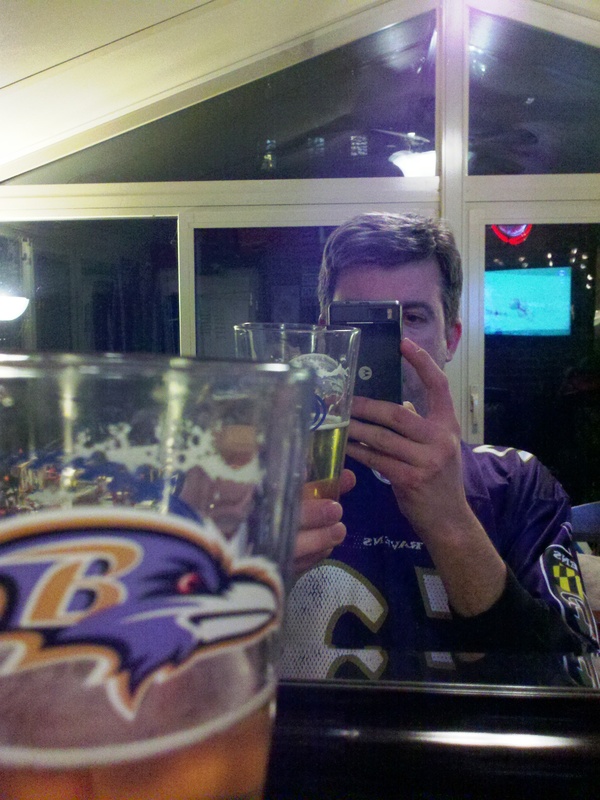 My brewery of choice for Super Bowl XLVII: Victory Brewing Company from Downington, PA. Sure, I savored some Baltimore brew while watching my beloved Ravens beat the 49ers to win their second Super Bowl. 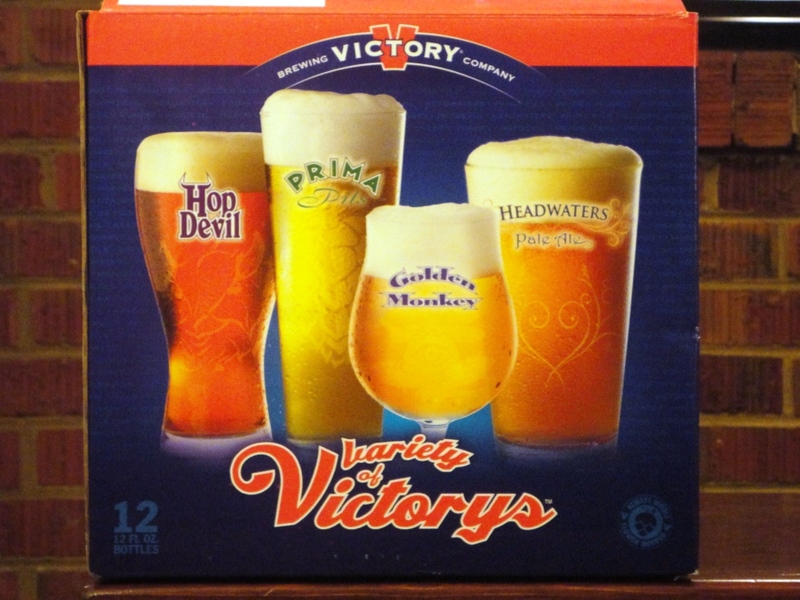 But when I saw the Variety of Victorys mixed 12-pack at the beer store, I had a premonition of celebrating a Raven’s victory with a Victory beer. I’m superstitious about football, and I didn’t want to anger the football gods by drinking Victory before the win was sealed. But as soon as the clock hit 00:00, I popped open a Golden Monkey, a strong Tripel (9.5%) worthy of a Super Bowl celebration. So what did I drink during the big game? For my Baltimore brew, I had only one beer in mind. Loose Cannon Hop³ IPA from Heavy Seas. At 7.25% ABV, Loose Cannon is not exactly a football-watching session beer, but a special game calls for a special beer, and Loose Cannon is one of my favorites. 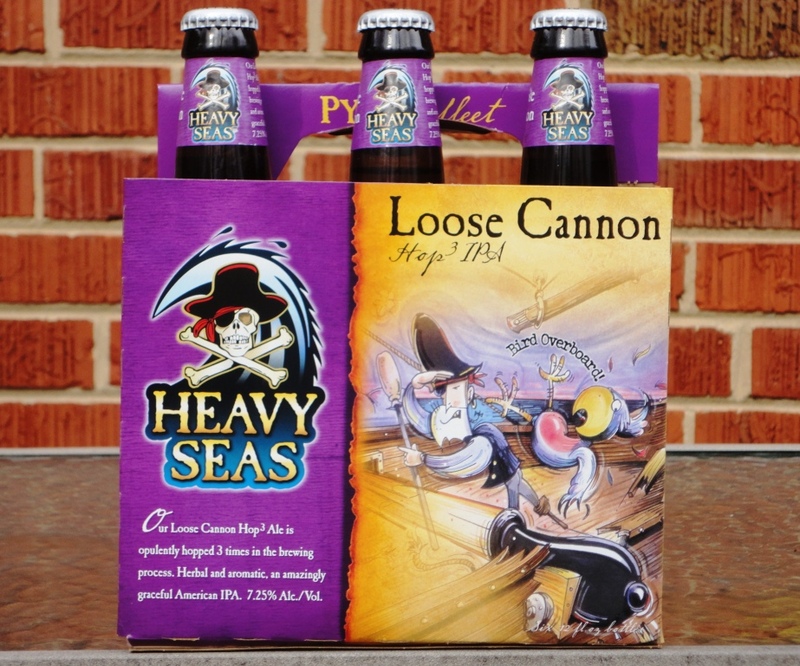 Coincidence that the Loose Cannon label is purple? I think not! We hosted my sister and her family for the Super Bowl, and my brother-in-law Rich brought a home brew – his Groaning Ale, a strong beer at 10%+. We also shared a bomber of Double D, a Double IPA from Dominion Brewing Company in Dover, DE – another 10%+ ABV brew. I don’t have a pic, but the guys will want to check out the bottle label on the Old Dominion web site. Finally, we also drank a growler of Cornerstone Copper Ale (5.9%) from Chocolate City Brewing Company in Washington, D.C. I filled the growler at the brewery the day before the Super Bowl, but more on that in a later post. THE BALTIMORE RAVENS ARE SUPER BOWL CHAMPS! !